Next week, thirty-six of the world's top prospects will take to the ice in Etobicoke, Ontario, where they will take place in this year's Research, Development, and Orientation Camp testing possible changes to the NHL's rules. These changes could be anything from shallower nets, to no-touch icing. While these future stars test out these variations, some of the top minds of the NHL will be watching and analyzing the effects that these changes have on the game. While some changes may not have major implications on the game, three of the variations being tested at this year's RDO camp could change the game drastically. 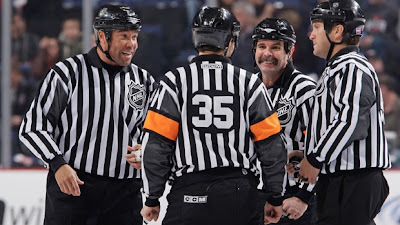 Those changes being, all penalties would be served in their entirety, play would not be stopped on a delayed penalty until the penalized team exited the zone with possession of the puck, and the use of wireless technology to allow on ice officials to communicate during the play. Lets look at how the game would change if these rules found their way into the NHL's every day life. Lets say your favorite team has one of the league's top power plays and goes on the advantage against the leagues worst team when on the penalty kill. Probably the best situation you could ask for. What if your team could score as many goals possible in those two minutes? The latter is much more enviable. A team playing the entire two minutes shorthanded rather than re-gaining their man after being scored upon could make offensive numbers for the league sky rocket. It could also reduce the number of penalties taken across the league, in fear of the amount of goals that could be scored due to taking a penalty. When a team is fortunate enough to to get a power play there is moments before where the team getting the man advantage can pull the goalie in hopes of gaining a little more time with the advantage. If lucky enough to get the goalie to the bench their time on attack is cut short when a defending player is close enough to just smack the puck. Changing the rule, making the team gain possession and leave the zone would and another level of frantic puck chasing to the game. Rather than just swinging at the puck and escaping the play after hitting it, the team would have to fight and earn the right to get the whistle. Only to get into a penalty kill situation a little cynical I know. 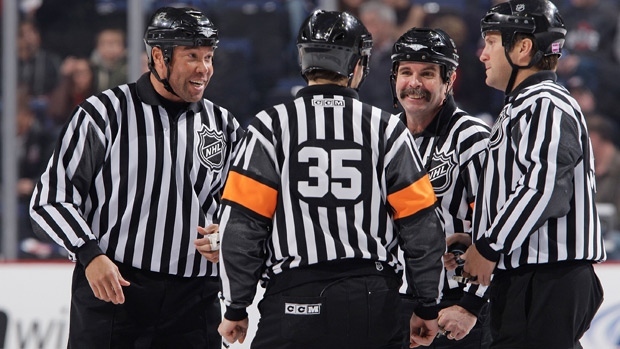 The final rule, does not affect the players directly but the officials on the ice. The officials over seeing next weeks activities at times will be wearing wireless technology that would allow them to communicate to one another during the play. The result of this in game communication could eliminate a large amount of the blown calls. If these rules prove to be beneficial towards the game they could be seen in the NHL within the next few seasons.